Liquorice is just as gorgeous as I thought it would be and definitely worth the wait. 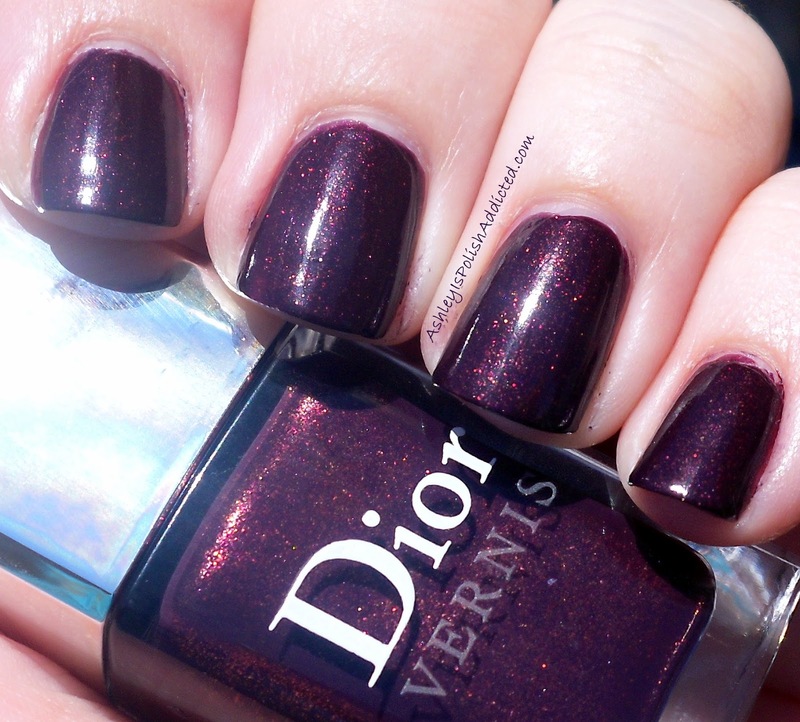 It is a deep red-leaning purple with shimmer that is to die for. Inside it looks much darker and much redder but just as gorgeous. Typical Dior formula - amazing. This does have the older brush, still flat but not as wide as the current one and it is not tapered on the end. It was still very easy to work with, I love both brushes. What do you think of Liquorice? Is it on your lemming list? The recently released Dior Shadow is quite similar if you have been lemming Liquorice and just can't find it for a price you are willing to pay. For a comparison between Liquorice and Shadow you can visit this post from Pointless Cafe. Very gorgeous on you! Great capture! Well, it wasn't on my list, but it is now!!! That's a whole bottle full of awesome right there! NEEED! And it looks beautiful on you!!!! Amazing. I love love love this polish and it looks amazing on you too!!! That polish is gorgeous! I'm trying not to want it... trying so hard, lol! My polish addiction is expensive enough without adding Dior to it!